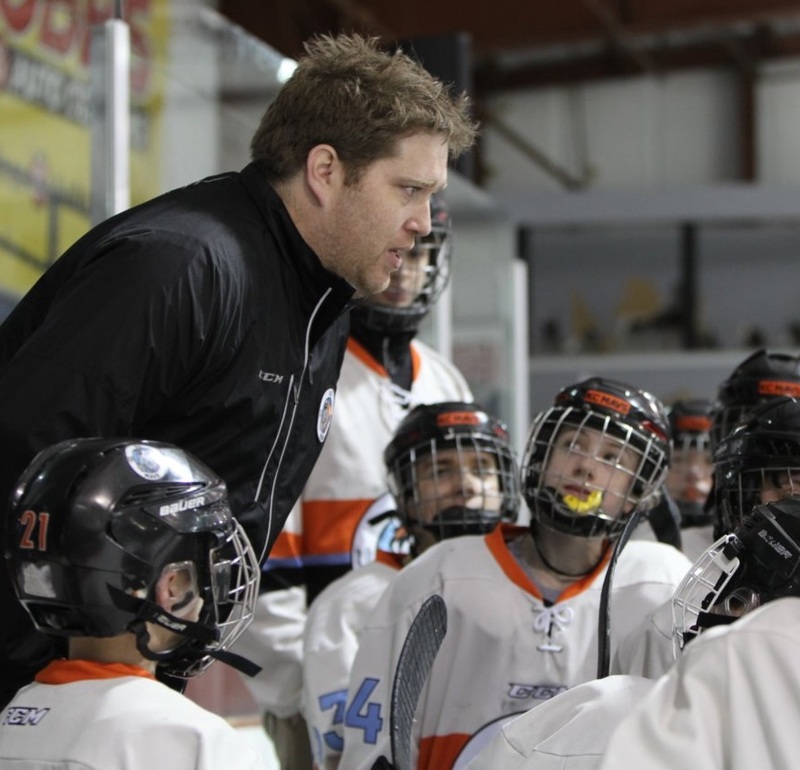 The “C” You In The Major Leagues Foundation and Blue Cross and Blue Shield of Kansas City (Blue KC) have announced Kansas City Youth Hockey Association (KCYHA) coach Jim Krueger as the July “Blue KC Coaches with Character” honoree. Selected from nominations submitted online at CYouInTheMajorLeagues.org, with one honoree announced each month throughout the 2017 MLB season, each “Blue KC Coaches with Character” honoree will be interviewed on 810 WHB, receive a VIP gift package from Blue KC and CYITML, and will be invited to meet Royals General Manager and CYITML Founder Dayton Moore at an event in September at Kauffman Stadium. Additionally, Blue KC will make a $2,000 donation to CYITML in honor of each selected coach. of responsibility, respect and accountability for his athletes. Another key aspect for Krueger’s teams is maintaining a commitment to academics. Even though he coaches a travel team, he asks that his players prioritize school and to use travel time to work on assignments. The high expectations Krueger has for his athletes are only a reflection of what he asks of himself. According to Michiko Snell, the mom of a former KC Mavs player who nominated Krueger for the Blue KC Coaches with Character honor, the coach sets an excellent example through his respect for parents, his commitment to fairness and his dedication to character development. Between now and the end of the MLB season, Blue KC and CYITML will select two more area coaches to be recognized as Blue KC Coaches with Character. The honorees will be chosen based on nominations from the public, which will be accepted until early September.